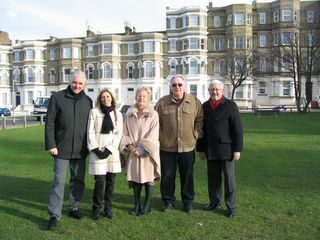 Cliftonville West councillors Linda Aldred, Doug Clark and Clive Hart have finally discovered TDC's true intentions with regard to the large open green space in Dalby Square. For over a year now, the ward councillors have been extremely concerned about the fate of the only inland green public space in their densely populated ward and a planning appeal held recently has finally exposed the TDC scheme which identifies the site for housing and the intention of TDC (the owners of the site) to pursue its sale in the coming financial year. The large green open space is a much loved area for young families who live predominantly in flats in the surrounding area with no garden space for their children. It lies at the heart of the Renewal Area and due to its location, could also benefit from a share of the proposed £3.7million Safer and Stronger Communities Fund which will have a core focus on 'cleaner, safer, greener public spaces'. Cllr. Linda Aldred said 'Local residents are achieving truly great things in Dalby Square. They have accessed large amounts of money from the New Opportunities Fund to renovate the square and work is moving along at a startling pace. The open green space on the south side of the square currently compliments the residents wonderful work but it really would be a travesty to ruin their efforts by building on it. Cllr. Clark, Cllr. Hart and I will therefore do everything in our power to stop the proposed plans and preserve the green space for local residents and visitors'. Great! More DSS single person flats for those who contribute so much to Thanet. Before my son moved out of his flat by the green, it was great to see youngsters playing on it in the evenings. 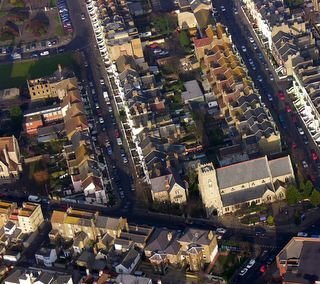 Is TDC running Thanet for its people? The present tally of nonsences is now THREE! The agricultural land and precious landscape area in Birchington being blighted with mobile homes; the greenwedge between Westgate and Birchington under threat by two schools who cant get together on Sports halls and playing field sharing even though they are both KCC schools and THE ONE SAFE GREEN SPACE for the many kids in a deprived area is to be built on. Go for it Cllrs and get the WHOLE COUNCIL involved. TDC is not running Thanet for its people - it's RUINING Thanet for everybody. It makes me think that few of the TDC officers must live in the hellhole they have created here in Thanet or they would behave differently in their jobs to make a nicer cleaner safer environment for all of us. Armed Robbery - Can You Help? Democracy - What's That Then?